With its “rink-side” view of skaters at Galleria Dallas, Mi Cocina is an undeniable draw for tourists and holiday guests; and, the food is just as amazing as the view. 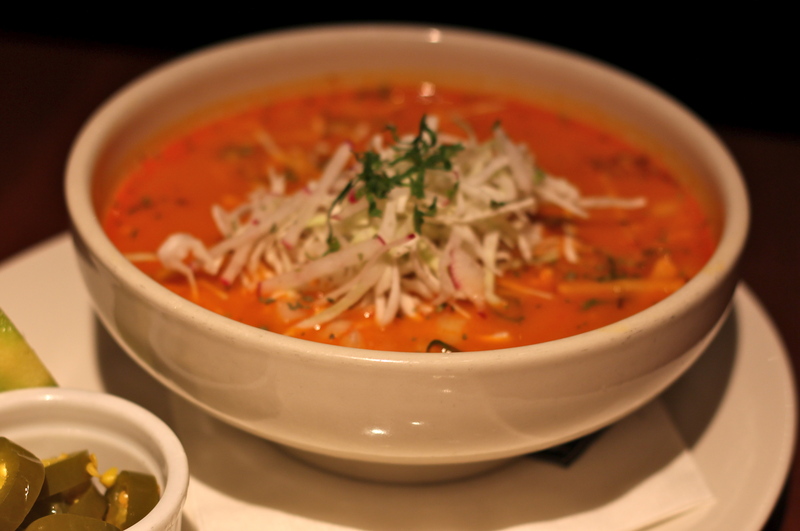 Mi Cocina gears up for cold weather by adding Red Chile Chicken Pozole as a seasonal dish. This spicy dish includes chicken, hominy, cabbage, cilantro and lime. Pozole, which can have a variety of ingredients, originated in Jalisco, Mexico and is perfect to warm you up after you have ice skated around the Christmas tree. 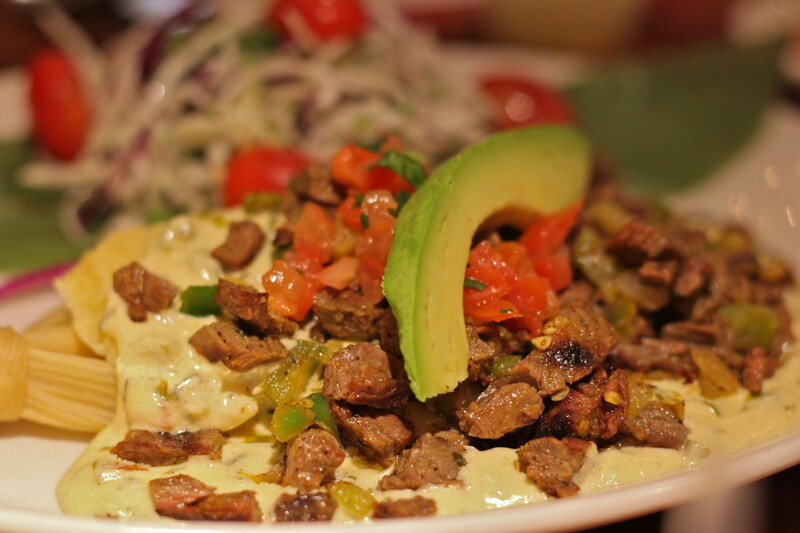 Spicy Arrachera Steak with poblano cream and pico de gallo is one of the new tamale dishes at Mi Cocina, and you MUST order this dish. Really. No, really. Don’t let the word “spicy” stop you, as it is not. The amazing poblano cream blankets this tamale and comforts your taste buds this holiday season. Lastly, if you need a quick pick-me-up- as you are holiday shopping at the Galleria, the Flautitas de Pollo may be perfect for you or your kids. 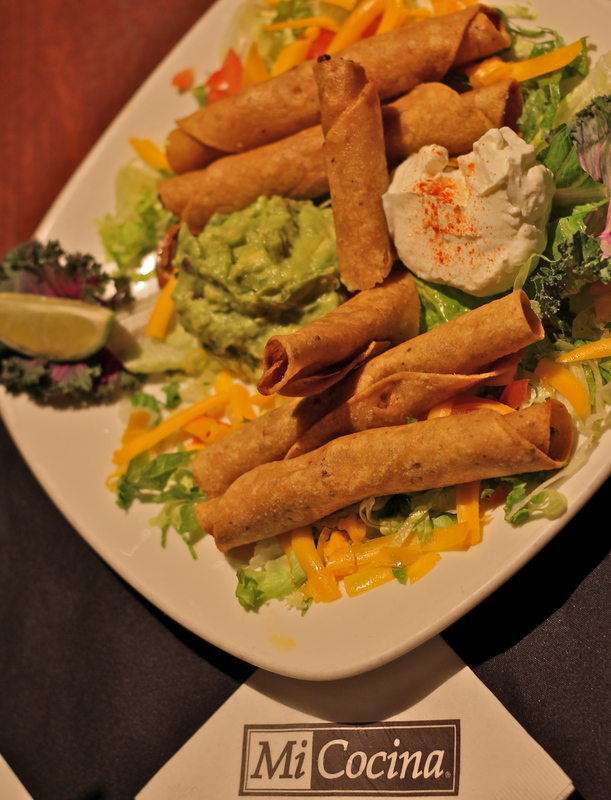 This finger food comes with “Conrad’s Favorite” guacamole and crema.